In an operation into ISIS in al-Bab, a Russian jet has hit a building with soldiers from Turkish Armed Forces in it. Three soldiers have lost their lives, 11 soldiers have been injured. Russian air strikes that accidentally killed three Turkish soldiers in Syria were launched based on coordinates provided to Russia by the Turkish military, Kremlin spokesman Dmitry Peskov said on Feb. 9. There is a popular Turkish saying: “The fire burns where it falls.” It basically means that nobody other than the victim can truly understand the pain suffered. Less than 48 hours after a phone call between Donald Trump and Turkish leader Recep Tayyip Erdoğan, the head of the CIA is due in Ankara on Thursday to map out ways of dealing with two of the region’s most contentious issues: tackling the Islamic State (Isis) and dousing the Syrian war. Turkish President Recep Tayyip Erdoğan is expected to talk with U.S. President Donald Trump on the phone on the night of Feb. 7, Turkish broadcaster CNN Türk has reported. The European Court of Human Rights (ECHR) has ordered Turkey to pay compensation to Turkish citizen İrfan Güzel, who was convicted of arms trafficking, for violation his right to effective remedy. President Recep Tayyip Erdoğan has once again slammed credit rating agencies over their recent downgrading of Turkey’s credit rating, in which many cited the upcoming vote on constitutional amendments to shift from a parliamentary system to an executive presidential system. German Chancellor Merkel has met with İdris Baluken, Mithat Sancar and Hişyar Özsoy from HDP. The party has published a fact sheet concerning the content of the meeting. Turkey does not want to be the one to escalate tension with Greece but also will not “bow to any fait accompli,” Defense Minister Fikri Işık told the Hürriyet Daily News on Feb. 1. 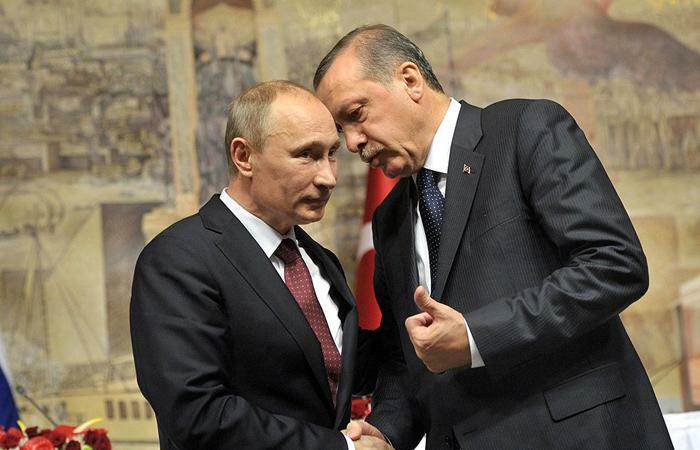 Article | Is Erdogan a Russian Ally or Putin’s Puppet?